k8tography - the Challenges: 15/365 - Dog-sitting is F.U.N. 15/365 - Dog-sitting is F.U.N. 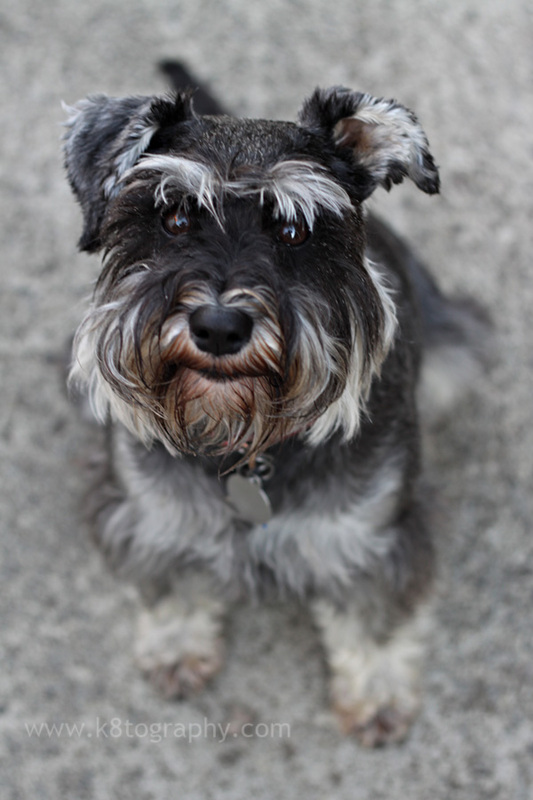 Meet Saffy the Staffy Miniature Schnauzer. She is our new, albeit temporary, Family Member. She has been here since Tuesday evening and it is now Friday evening. She is really cute. And brave (if our cat Mikki is not around!) She does what she is told by Mikki - she comes from a household of two cats as well. She knows who is boss. and it. is. not. her. It has taken us a little while to get used to the barking though. She is very protective of our home and the property. Bark Bark Bark. Bark Bark Bark. Bit tired of that bit really! I am just putting it out there - she probably loves us MORE than her own family! Just sayin' - and who can blame her!? 26/365 - Happy Australia Day! 25/365 - Here's lookin' at ya! 12/365 - I say Vegetable Frittata to you! I Heart Faces - 2011 Photo Contest "Smile"